Taylor Wily is an American actor and a former sumo wrestler and mixed martial artist. 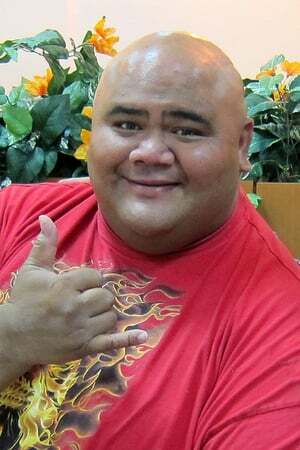 He is best known for his recurring role as Kamekona in the CBS television series Hawaii Five-0. He made a cameo on the 20th edition of The Amazing Race, and handed out clues to racing contestants. He also appeared in an episode of One West Waikiki as a sumo wrestler. Born on June 14, 1969 in Honolulu, Hawaii, USA, he is of Samoan descent. Wily was one of a select group of Americans to compete in Japan, where he rose to the level of the makushita class. He is married to Halona Wily with whom he has two children. *He was born on June 14, 1969 in Honolulu, Hawaii, USA. *He belongs to Samoan descent. *He has a fighting style of Sumo and Boxing. *He lost to Gerard Gordeau at UFC 1.